Died about 699. Her sisters, Sts. 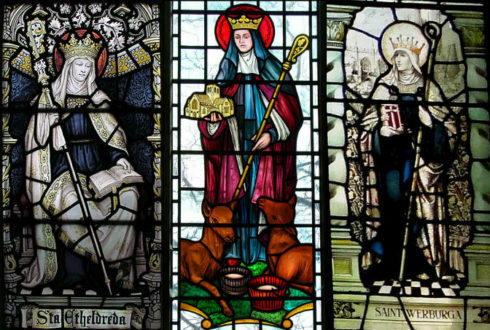 Ethelburga and Saethrid, were both Abbesses of Faremontier in Brie, St. Withburga was a nun at Ely, and St. Etheldreda became Abbess of Ely. Sexburga was the daughter of Anna, King of the East Angles, and was married about 640 to Earconbert, King of Kent. 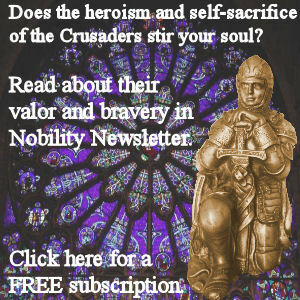 She lived with her husband for twenty-four years, and by him had two sons, Egbert and Lothar, both successively Kings of Kent, and two daughters, both of whom became nuns and saints: St. Earcongota, a nun of Faremontier, and St. Ermenhild, who married Wulfhere, King of Mercia, and after his death took the veil and became Abbess of Ely. After the death of her husband in 664, Sexburga founded the Abbey of Minster in Sheppey; after a few years there she removed to Ely and placed herself under her sister Etheldreda, then abbess. The “Liber Eliensis” contains the farewell speech made by Sexburga to her nuns at Minster, and an account of her reception at Ely. 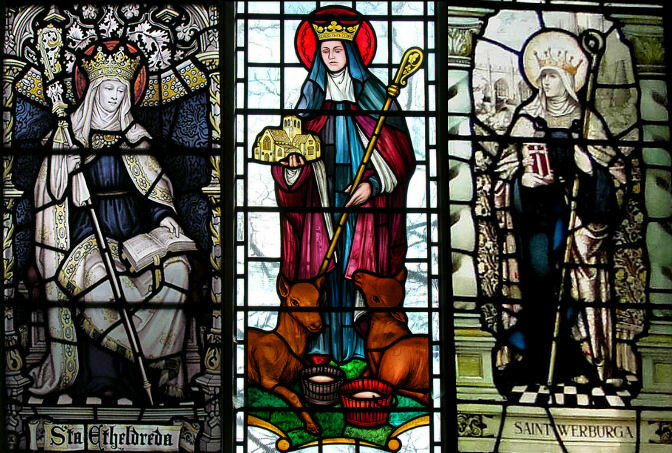 St. Etheldreda died, probably in 679, and Sexburga was elected abbess. 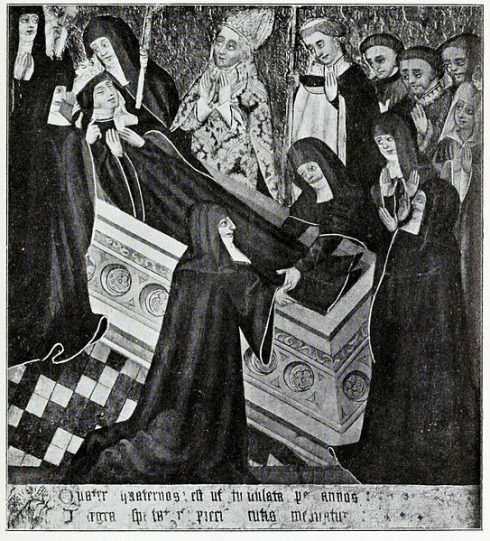 She was still alive and acting as abbess in 695, when she presided at the translation of St. Etheldreda’s relics to a new shrine she had erected for her at Ely, which included a sarcophagus of white marble from the ruined city of Grantchester. Sexburga was buried at Ely, near her sister St. Etheldreda and her feast is kept on 6 July. 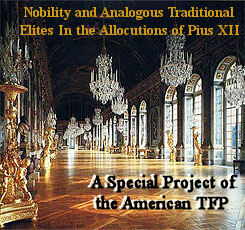 There are several lives of St. Sexburga extant. The one printed in Capgrave, “Nova, Legenda” and used by the Bollandists seems to be taken from the Cotton manuscript (Tib. E. 1) in the British Museum. There is another Latin life in the same collection (Cotton MS., Calig. A. 8), but it is so damaged by fire that it is useless. At Lambeth there are fragments of an Anglo-Saxon life (MS. 427). BEDE, Hist. Eccl., iii, c. 8; IV, cc. 19, 21; Liber Eliensis in Anglo. Chr. Soc. ; Acta SS., July, II, 346-9; MONTALEMBERT, Monks of the West, ed. GASQUET, iv, 401; HARDY, Cat. Mat. in R. S., I, 36O-2; BUTLER, Lives of the Saints. 6 July. We all know the power of good example. It speaks to our souls in a way that no book can. It sparks admiration, it fills souls with enthusiasm, it persuades and convinces, and it strengthens those who decide to emulate it. These three royal sisters gave good example not just to the society of their time, but for many generations to come as their story is told and passed on. Theirs was seed that fell on good soil and which brought forth fruit, thirtyfold, sixtyfold, and a hundrefold (Cf. Matt. 13:8).